Friday, April 8, 2016 7:00 PM Summerville High School AWAY 8 Colleton County High School HOME 0 Game Recap The Green Wave Boys extended their Region 8 winning streak to 2 games with a dominant performance over CCHS on Friday night. Tuesday, April 5, 2016 7:00 PM Fort Dorchester High School AWAY 1 Summerville High School HOME 2 Game Recap The Green Wave earned their first region victory on their home pitch against rival FDHS. 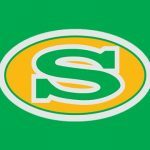 Tuesday, March 8, 2016 7:00 PM Stratford High School AWAY 0 Summerville High School HOME 3 Game Recap The Summerville Boys Soccer Team bounced back tonight with a solid 3-0 shutout of the Stratford Knights. 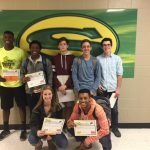 Friday, March 4, 2016 7:00 PM James Island Charter High School AWAY 9 Summerville High School HOME 0 Game Recap The James Island Trojans earned a solid win over the Green Wave early in the 2016 season. The JV Boys battled earlier in the night, falling to JIHS in penalty kicks 3-2. Wednesday, March 2, 2016 7:00 PM Summerville High School AWAY 5 Woodland High School HOME 0 Game Recap The Green Wave Boys racked up their second win of the season, taking down Woodland HS on the road Wednesday night.